Time is an asset that it is only too easy to waste! Once it has been spent, it can never be retrieved. There is no such thing as a refund, and the only re-runs are the ones that might be shown on the television. Everyone is under more pressure these days - the pace of life is faster. Individuals are being asked to work longer hours, sometimes with damaging consequences to their health and family life. Good time management is essential. 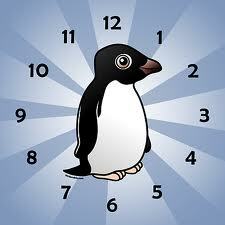 Here is the Penguin Prof's College Success Series: Time Management video. It shows you how to reduce stress and make time for the things you WANT and NEED to do. Friendship: Seven Tips for Making New Friends.